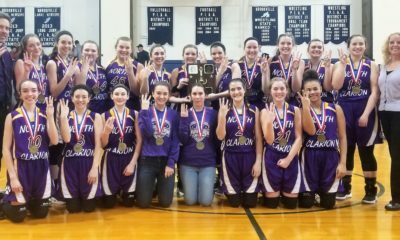 DUBOIS, Pa. – The road doesn’t get any easier for the District 9 champion North Clarion girls, as the She-Wolves take on a perennial state powerhouse, District 6 champion Bishop Carroll in the PIAA Class 1A quarterfinals at 6:30 p.m. Saturday at DuBois High School. The Lady Huskies (22-5) are in the PIAA quarterfinals for the 17th time in school history and for the second straight year. Bishop Carroll has won three PIAA Class 1A titles (1987, 2002, 2003) and was runner-up twice (1996, 1998), while North Clarion (26-2) had never won a PIAA playoff game until this year, a season that has also seen the She-Wolves win the D9 title for the first time in school history. Bishop Carroll, which beat A-C Valley, the District 9 third-place team, 73-32 in the opening round of the PIAA playoffs before knocking off District 5 champion Berlin Brothersvalley, 47-32, in the second round Thursday is a talented and deep group paced by 5-foot-9 junior guard Alyssa Martinazzi. Martinazzi, who reached the 1,000-point plateau earlier in the season, averages 16.8 points per game on the year. She scored 19 in the win over A-C Valley. 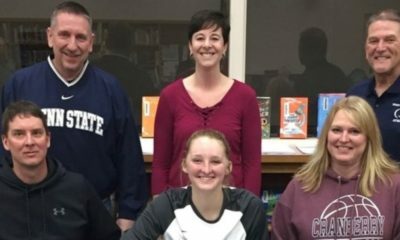 Anna Haigh, a 5-foot-10 sophomore forward and the daughter of St. Francis (Pa.) women’s basketball head coach Joe Haigh and Sherri (Orlosky) Haigh, who played collegiately at Notre Dame, adds 10.3 ppg and had 16 in the win over A-C Valley. the head women’s basketball coach at Saint Francis University. Williams was a starter last year but missed all but one regular-season game this year with a knee injury. Gongloff is in his second stint with the Lady Huskies; they won states titles with him in 2002 and 2003 the first time around. Adie Divido chips in 8.7 ppg with Emily Kutskel scoring 7.9 ppg. The Lady Huskies got a late-season boost with the return of 5-9 senior Jourdan Williams, who missed all but one regular-season game with an injury. Williams is scoring 5.5 ppg since her return and netted seven vs. A-C Valley. 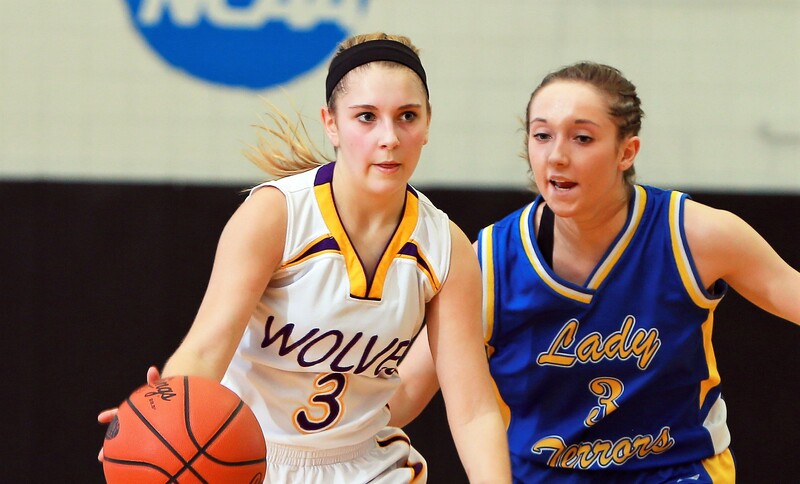 North Clarion is paced by 5-foot-10 junior forward Tori Obenrader. 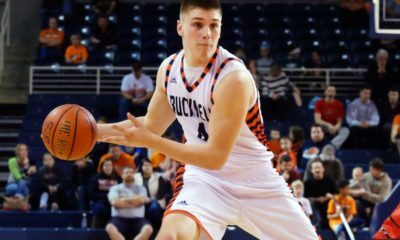 Obenrader is having monster season averaging 23.6 points and 15.8 rebounds per game and set the school’s single-season scoring mark during the 68-58 second-round win over Cornell. After the 37-point, 19-rebound performance vs. the Raiders, she has 661 points on the season bettering the previous single-season record of 650 set in 1991 by her cousin Wendy Obenrader Franty. In six postseason contests, Obenrader has actually risen her level of play averaging 27.5 points and 15.8 rebounds per game, and she is scoring 28.4 ppg in her last nine contests. Obenrader is surrounded by a solid supporting cast that includes seniors Cassie Wagner (8.0 ppg), Michaela Higgins (6.9 ppg) and Ally Carll (5.4 ppg), sophomore Gabby Carll (2.0 ppg) and freshman Abby Gatesman (5.7 ppg). Gatesman is averaging 9.0 ppg in her last three playoff contests, while Wagner has scored 23 points during that same stretch. 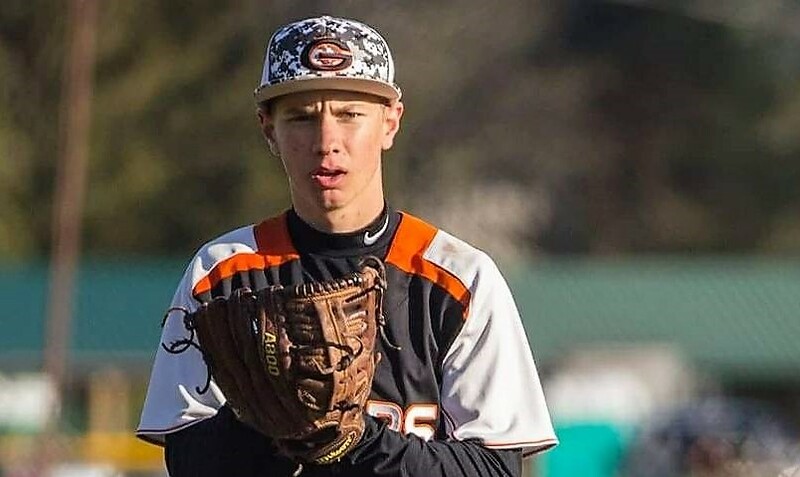 The winner will take on the winner of the game between District 10 champion Kennedy Catholic and District 6 runner-up Juniata Valley in the PIAA semifinal Tuesday at a site and time to be announced.